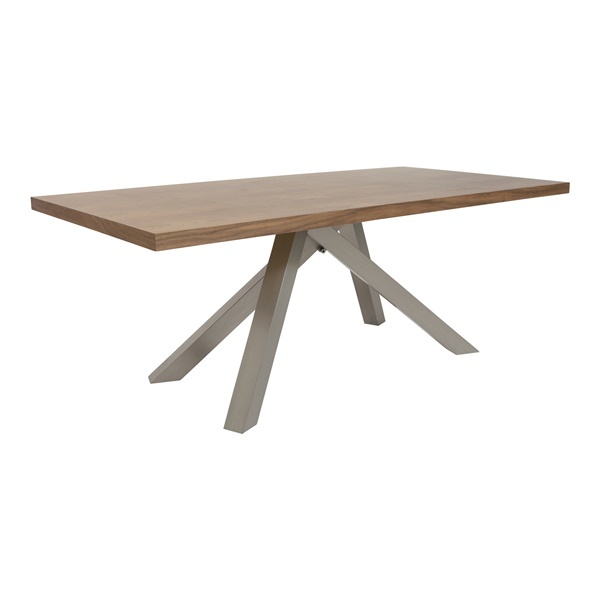 Add a sleek, stylish and practical dining table for your modern or traditional dining room with the Dacy Dining Table from Eurostyle. This contemporary dining table offers a spacious top of American walnut veneer that will pop consistently. It also includes a silver powder-coated metal column plate and brushed stainless steel legs that deliver tremendous stability. Select a dining table that combines fashion and function perfectly with the Dacy Dining Table. What material is the tabletop made out of? Can the base be made in black? This table is made using MDF with a real American Walnut Wood Veneer. Unfortunately we are unable to customize the base to offer it in black.